RHRLI is always interested in anything related to finding a cure for thinning hair including the connection between hair loss and french fries. We want our patients to have as much information about hair loss as possible so they can receive the best care available. That’s also the reason why we offer a revolutionary, permanent solution for hair loss, called the ARTAS® System. ARTAS uses robotic technology to give you the most accurate hair transplant procedure available. RHRLI believes in technology and research, so we want to tell you about this fascinating study. The survey conducted in Japan by researchers at Yokohama’s National University found that a chemical used in McDonald’s french fries can be used to help grow hair follicles on mice, according to CBS News. The results of the research were published in the journal Biomaterials in 2018. The researchers were looking to find a way to help regenerate hair follicles. Hair regeneration has become an emerging new therapy in trying to combat hair loss, according to a news release about the study that appears on the website Science Daily. To grow new hair on the mice, they attempted to create hair follicle germs (HFGs), which is the reproductive source of hair follicles. They were successfully able to create up to 5,000 HPGs, according to the research. The scientists credited an ingredient with promoting hair growth. “We used oxygen-permeable dimethylpolysiloxane (PDMS) at the bottom of the culture vessel, and it worked very well,” said Junji Fukuda, one of the researchers. Using the chemical helped generate hair follicle shafts on the backs of mice used for the study, but it isn’t actually an agent which can cause hair growth. 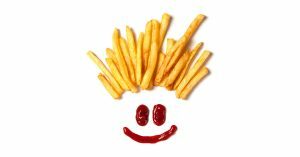 The researchers said that more studies are needed, but the french fry chemical could be part of a strategy to regrow hair, according to USA Today. McDonald’s told CBS that dimethylpolysiloxane is an agent used in minimal doses to prevent foaming of the oil that the fast-food chain uses to fry their french fries and other products such as fish sandwiches and chicken nuggets. At RHRLI, we’re always fascinated by breakthroughs in the fight against hair loss. We want to remain cutting edge, which is why we offer ARTAS®. If you consult with our hair restoration surgeon Dr. Baiju Gohil, you’ll understand the RHRLI Edge. All of our equipment is state-of-the-art, and we’ll give you the individual attention you deserve. Dr. Gohil consults personally with all of our patients, and we only schedule one procedure a day. To learn more as to why RHRLI is Long Island’s hair restoration leader, contact us today.